Sony is set to halve the workforce at its struggling mobile division in a bid to make it profitable from 2020. According to Nikkei, as many as 2,000 roles will be cut in the restructure. Some Japanese employees will be transferred to other divisions but workers in Europe and China will be offered voluntary redundancy. Sony Mobile is the only loss-making venture at the Japanese electronics giant and the company wants to reduce its fixed costs as it seeks a return to profitability. At its peak, Sony commanded a nine per cent share of the global mobile phone market. However, in 2019, it is a minor player in the smartphone space, commanding a market share of less than one per cent, with Europe and Japan its main markets. Despite this, Sony has continued to launch flagship devices and it is one of the top three vendors in its homeland. 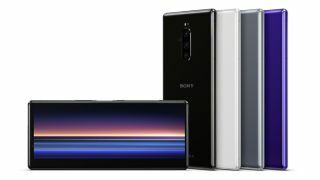 Earlier this year, it launched the Sony Xperia 1 at Mobile World Congress (MWC) in Barcelona last month. However, globally, Sony also faces the same challenges facing the rest of the industry, including longer product refresh cycles, a perceived lack of innovation, and a lack of new markets to exploit. The division is said to have lost £655 million in the current financial year, but the company is keen to retain the unit because of its strategic importance in the 5G era and the possible value it could add to the rest of its electronics portfolio. The move follows news that Sony is to shut down its smartphone manufacturing plant in Beijing and will shift production to another facility in Thailand. The Thai facility will become Sony’s sole smartphone manufacturing facility, but the company will continue to outsource some production to contractors. The Mobile Industry Awards 2019 return on 6th June! To enter the awards visit www.mobileindustryawards.com Entry Deadline: 4 April 2019.